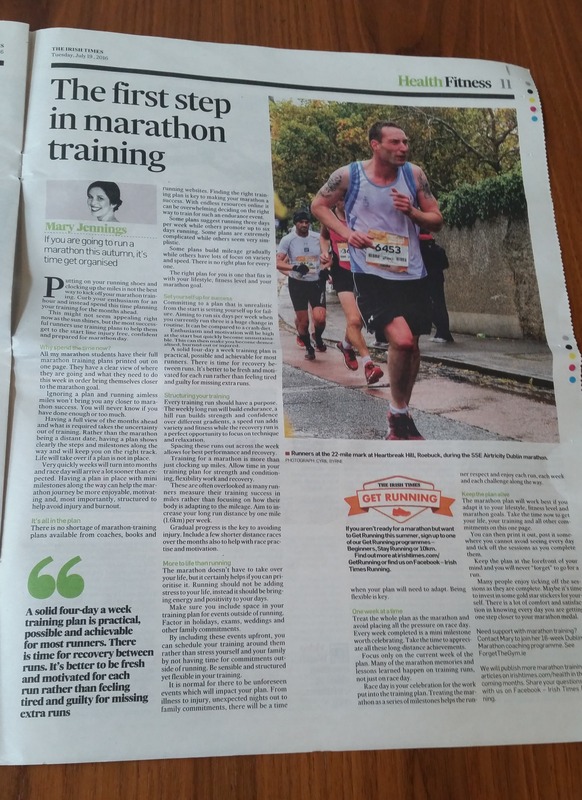 Here Mary tells us why its so important to set yourself up for success now for your marathon training. From getting a plan that fits in with your life and taking it all one week at a time. This article first appeared in The Irish Times in July 2016, you can read the full article online here.